More News In Brief: Film-maker Agnes Varda dies aged 90; Berlin's Jewish Museum refuses Sackler Trust donations; research reveals increase in number of visitors to Liverpool Biennial. 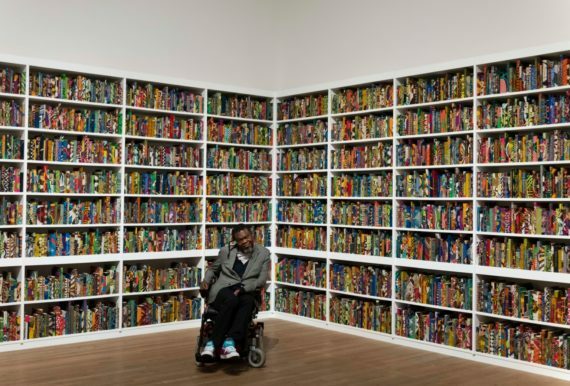 Tate acquires Yinka Shonibare installation The British Library The site-specific installation, which highlights the impact of immigration on British culture, also features a digital platform for visitors to join in the discussion. 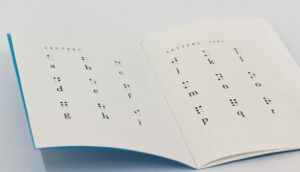 Originally commissioned by HOUSE 2014 and Brighton Festival and shown in the Old Reference Library at Brighton Museum and Art Gallery, the work contains 6,328 books bound in ‘Dutch wax print’. 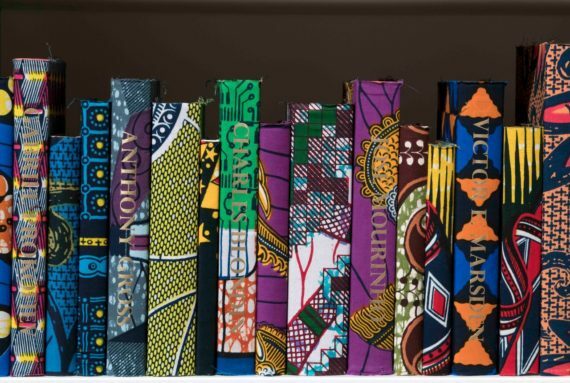 Printed in gold leaf on the spines of 2,700 of the books are the names of first or second generation immigrants to Britain. It includes both celebrated and lesser-known names who have made significant contributions to British culture and history. These include Hans Holbein, Beverley Knight, Dame Helen Mirren and Danny Welbeck, with some books left unmarked, suggesting that the story of immigration in Britain is still being written. There are also the names of a number of people who have opposed immigration. The thebritishlibraryinstallation.com website can also be accessed via tablets in the space. 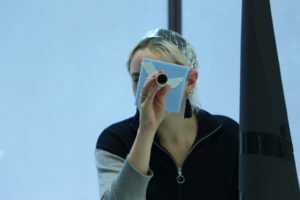 It contains recent materials selected by the artist to present different viewpoints relating to immigration, while visitors are also invited to submit their own story. 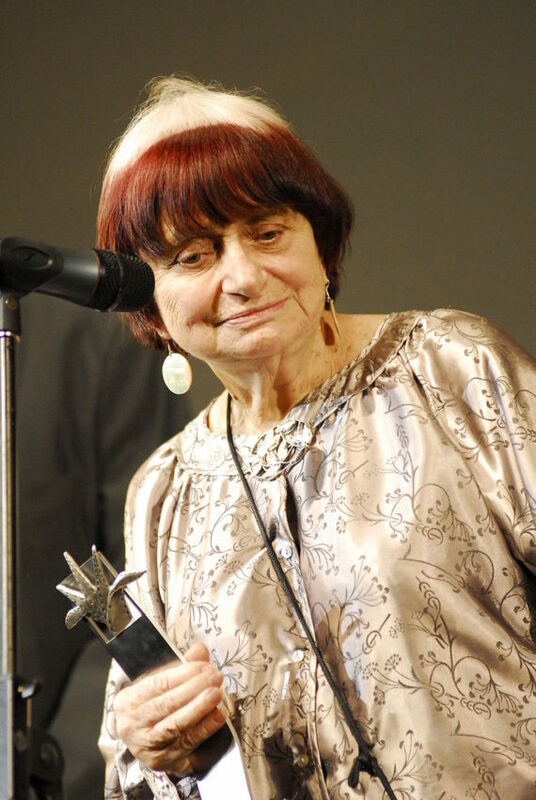 Director Agnes Varda dies aged 90 The Belgian-born film-maker, who was one of the key figures in the French New Wave in the 1960s, was the first female director to be awarded an honorary Oscar in 2017, and became the oldest ever nominee for a competitive Oscar last year. Varda originally intended to become a museum curator and studied art history at the École du Louvre. She then studied photography at the Vaugirard School of Photography, becoming a still photographer. However, Varda always saw photography and film as being interlinked, and her first film, La Pointe Courte, was released in 1955. She went on to make a number of influential works, including Cleo from 5 to 7, about a model’s anguished two-hour wait for the results of her cancer test. Her 2018 Oscar nomination was in the best documentary feature category for her film Faces Places. The work follows Varda and a photographer and artist called JR as they journey through rural France and form an unlikely friendship. Varda’s autobiographical documentary Varda by Agnes premiered in February at the Berlin Film Festival, where she also received a lifetime achievement award. Frances Barrett, Giselle Stanborough and Sally Rees win Australia’s richest art prize for female artists The three performance and installation artists will each be provided with $100,000 by the Katthy Cavaliere Fellowship in order to stage exhibitions at three galleries around the country. Next year, Barrett, Stanborough and Rees will create a sound and light installation in Melbourne, an immersive performance piece in Sydney and a multimedia animation and performance series in Hobart, respectively. 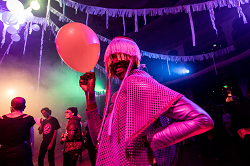 The prize is named after the pioneering Italian-Australian artist Katthy Cavaliere (1972-2012), who worked across performance, installation, photography, video, film and drawing. Funded from her estate, it is given to female-identifying artists in the performance art space. Berlin’s The Jewish Museum joins Tate and South London Gallery in refusing Sackler Trust donations The institution, which received a donation from the Sacklers back in 2002, said it will no longer accept funds from the Sackler family due to its ties to the pharmaceutical company Purdue Pharma, the manufacturer and distributor of OxyContin – the drug at the centre of the opioids public health crisis in America. Last month the Sackler Trust announced it was suspending all UK donations because of the negative press attention being generated due to numerous legal cases in the United States relating to OxyContin. However, photographer and activist Nan Goldin, who set up the campaign group P.A.I.N. (Prescription Addiction Intervention Now) to highlight the Sacklers’ connection to the drug, dismissed the move as a ‘face-saving’ measure. 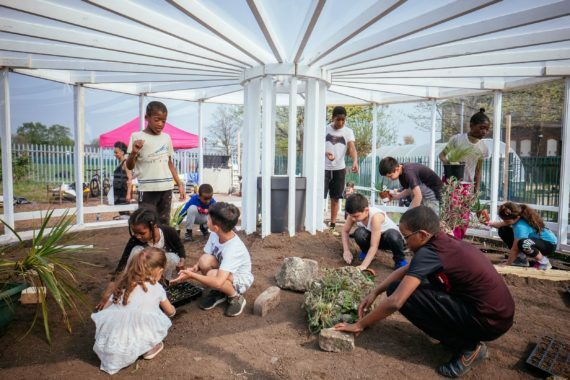 Research reveals Liverpool Biennial’s 2018 programme attracted more visitors, who were younger and more diverse BOP Consulting found that the 10th edition of the biennial attracted 160,730 visitors – an increase of 47% compared to 2016 – who made over 660,000 visits, with more than half being first-time attendees. 11.2% described their ethnicity as non-white, and 38% of visitors were aged under 30, compared to 30% in 2016. In addition, 50% of visitors in 2018 came from outside the North West of England, including 14% international visitors. The 2018 biennial also had an economic benefit to the city and region, with a total net contribution to the Liverpool economy of £6.6 million.